Having some fun Christmas traditions is a great way to create special memories with your kids. Every family is different, and it takes time to discover what works best for your family. The team at Babyology got together to come up with a list of our favourite things to do during the holidays with our kids. If you’re looking for ways to fill in the school holidays and count down to Christmas, we hope these ideas will get your creative juices flowing. 1. Take a trip to the beach. 2. Start an advent calendar. 3. Splurge on extra cute matching pyjamas. 4. Host a Christmas BBQ. 5. Play a game of family cricket (or any other sport if you’re not a fan of cricket). 6. Have an outdoor fire and roast marshmallows. 7. Decorate the Christmas tree together. 10. Decorate your own stockings. 12. Take a family photo with Santa. 14. Take a special shopping trip together to buy food and gifts to donate to families who are struggling at Christmas time. 15. Start a secret Santa with the extended family. 17. Help the children write a letter to Santa (and post it). 18.Get your kids to write an “I am thankful for” letter along with their letter to Santa. 18. Invite your mum friends over with their kids for a Christmas themed playdate. Have each parent bring a small gift to give to their child. 19. Play along with the Elf on the Shelf. 20. Create handmade gifts for each family member. 21. See a local production of The Nutcracker, A Christmas Carol, or another holiday-themed show. 22. Have a Christmas movie night. There are plenty of Christmas movies to choose from, from Home Alone all the way to Die Hard (which you can watch once the kids are in bed). 23. Host a Christmas wrapping party with your friends. Invite them over for a night of kid-free gift wrapping. Just make sure everyone brings a bottle of wine! 24. 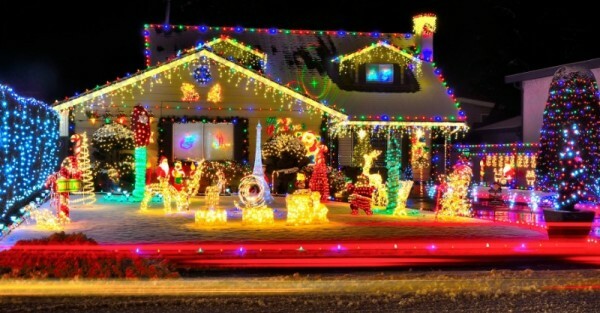 Go for a drive to check out the Christmas lights in your area. 25. Help your kids write Christmas cards for family, friends and classmates. 26. Take an ugly sweater (or ugly rashie) photo. 27. Decorate your own house (or garden) with Christmas lights. 28. 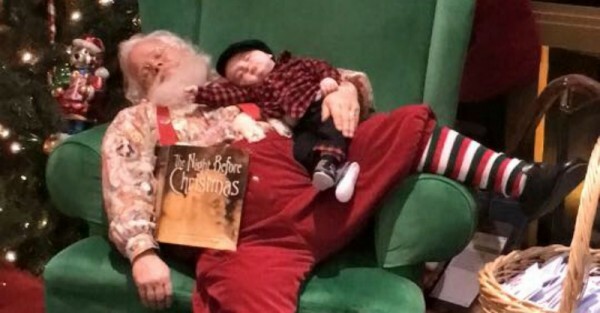 Read The Night Before Christmas around the Christmas tree. 29. Leave Santa some bikkies with milk and leave his reindeer some carrots. 30. On Christmas Eve, create reindeer paw prints and sprinkle glitter in the hallway so the kids know that Santa and his reindeer have come and gone. 31. Let the kids open up one present on Christmas Eve. And, finally, prepare for the madness to come (and the cricket on Boxing Day). What Christmas traditions do you follow in your household?